DETECH RELIC STRIKER.. Code Words: EXTREME DEPTH! Finally I had the chance to complete my tests of the last Detech machine, the RELIC STRIKER. Even though a new, top of the line model has been announced, the Detech CHASER, Relic Striker is still on top of the list of Detech’s “deep-seeking” catalog. This two word expression, in the treasure hunting jargon is related to specialized metal detectors, for hunting not so small and very deep targets, usually larger than a coin. In othe r words, these machines are biased toward big targets (e.g. 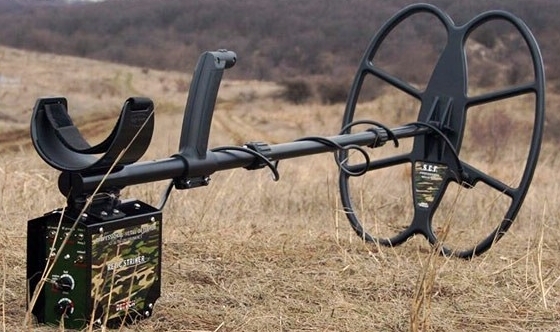 militaria and caches) at great depth. 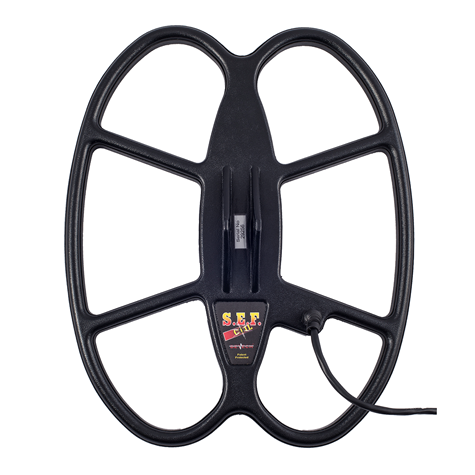 Detech Relic Striker is a single-frequency VLF/IB running at 4,8 kHz with a “monster” SEF (Symmetric Electromagnetic Field) 18”x15” coil. 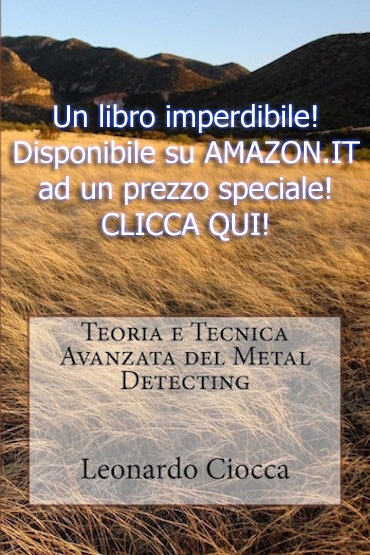 These simple informations, read by an experienced hunter, will be immediately recognized as a evident clue of a deep-seeking detector, high conductivity target oriented (copper, bronze, silver etc), great for not-so-tiny, very deep buried things and especially in highly mineralized soils. 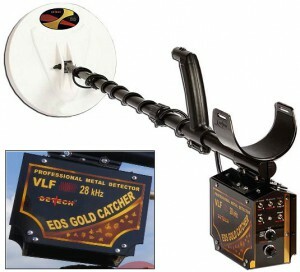 Detech, after launching the EDS Gold Catcher on the market, a 28 kHz detector with a 6” and 10” DD closed coils, especially aimed to gold nugget prospecting, just wanted to fill the gap in his catalog placing a new, high performance model, beside his high frequency 28 kHz (Reacher and Gold Catcher) and the middle frequency 14 kHz ones (EDS and Winner). After receiving lots of requests by his affectionate customers, Eng. 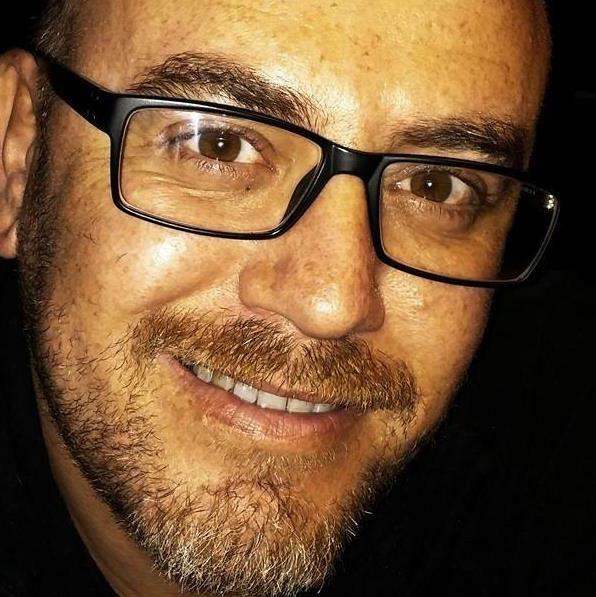 Rumen Kanev, Detech’s CEO and Chief Designer, just thought to “close the circle” and realized a true “deep seeking” machine starting from the Gold Catcher chassis. That’s how the Relic Striker has born. The Relic Striker has exactly the same control knobs and switched that we have seen on the Gold Catcher, half of them are placed in the front part (forward looking) of the aluminum control box and the other half in its back side (backward looking). In the front side we will find the ON-OFF button, the threshold knob, the manual ground balance knob, the cable connector, a small speaker and the 3.5mm headphone’s minijack socket. In the backward looking panel we will find several switches: one for selecting Discrimination or All Metal (Motion) mode, the Automatic/Manual balance system switch, a frequency offset selector (very useful in case of EMI disturbances or when sweeping near other metal detectors that could interfere), a Single Tone/Dual Tone (called Mixed Tone) switch and a HIGH or LOW mode selector that will enable a stronger or milder mineralization filtering. We can also find two knobs: the Sensitivity control and the Discrimination setter. Assembling the Relic Striker is just a matter of seconds and it’s very easy. The collapsible stem and rod system, already seen on the Gold Catcher, is very practical and smart. When the machine is completely “closed”, it takes really a very small space, especially if we think about the huge 18”x15” SEF coil. For your information, if you want, you can buy from Detech some smaller spare coils like the Ultimate 9” o 13” or the SEF 6”x8” for “sniper hunting”. To be honest, when I’ve seen how much the stock coil was big, I was really worried about the overall machine weight and balance. Yet another time Eng. 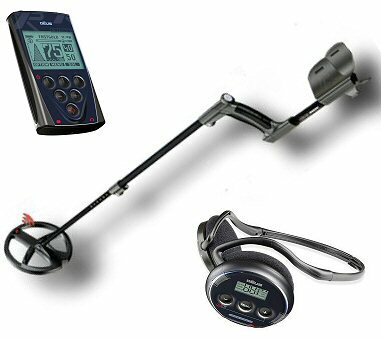 Kanev surprised everybody with a really well balanced detector that is capable not to fatigue too much the operator even after hours of metal detecting. Of course maybe you won’t be able to perform a very swift sweep speed with such a big coil, at least if your name is not Arnold Swartzghh..Swartzhene…Swarrzenger… ehm at least if your name is not The Incredible Hulk. With a more slow and steady rhythm, taking advantage of the huge vertical soil cover (18 inches… or, if you prefer, almost 46 cm!) 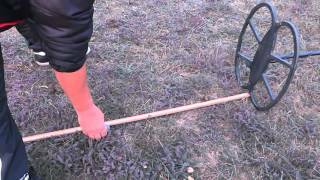 you could sweep while walking at a normal pace and scan a great amount of soil without too much stress or fatigue. If you compare the Relic 18”x15” coil with a more common 10” one, each Relic sweep will be almost equivalent to 2 normal sweep: a good energy and time saving machine, isn’t it? As usual, my first test of each new machine are always done in “true research”, bringing the detector on mineralized soils, with lots of mineralized bricks fragments and spread iron bits. Well… I like to start in a very tough way! The first thing I wanted to test was RS’s mechanics and agility. I was worried that, on the field, a detector with such a big and heavy coil would have been difficult to manage and, at the end of the day, not so pleasant to use. Nothing more wrong! 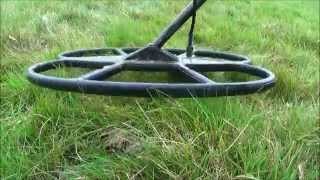 The Striker has demonstrated to be truly well balanced and, especially on flat soils (or not so steep), it could be utilized without particular physical efforts. I’ve set the machine in AUTO (Balance) Mode, Filter on HIGH, Single-Tone, I’ve set the sensitivity on the recommended position (around 75%) and discrimination just a little above the COIL position. Using this setting will make the detector a little bit “nervous” even though it will calm down a lot when the coil is close to the ground. 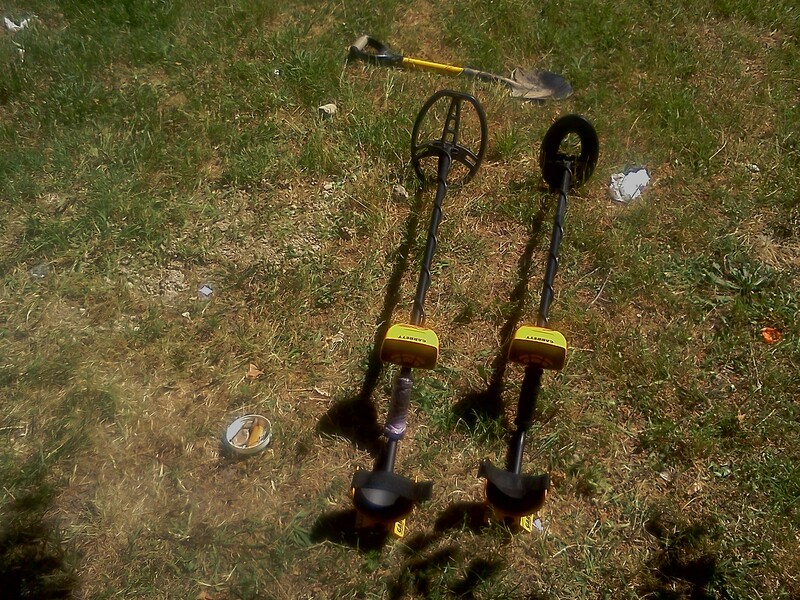 I’ve used this configuration to sweep over an ultra-hunted out mineralized soil, where I’ve been detecting each centimeter with dozens of machines each with different coils. It was really amazing to find other non-ferrous targets at very great depth! I’ve found good coin-size keepers even up to 20-25 cm deep (measured), and in my really very-mineralized soils this is like dreaming! Other hi-end and top of the line machines were sometimes unable to go deeper than 10-15 cm… Unbelievable! Another issue I wanted to test was Relic’s ability to separate targets in the ground and, at the same time, its performance on centering targets. With a 18”x15” coil I would have been expected a not so good or even poor separation. Obviously it can’t front a 10” DD coil but it’s very surprising for its size. You can imagine that target centering is not so precise, confronting it with a smaller coil. I can estimate that, for a coin-sized target, on a depth between 10-15 cm, the detection pinpoint zone has a radius of about 5 cm. Over 15 cm the radius tend to be wider, assume around 10 cm. Of course the machine is much more surgically precise on shallower targets. A very neat performance for a relic hunting dedicated machine. When hunting on very trashy areas, I suggest to use the MIXED Tone Mode that will produce a low pitched tone for ferrous items and a high pitched one for non-ferrous targets. Using this audio mode will help a lot to pick up good targets in between trashy pieces of iron. As I’ve continued to test the machine on a variety of soils, I was able to detect coins and other gook keepers at truly amazing depth, even up to 30-33 cm (measured and testified by my AMD mate Matteo) for coin-size targets… and by using the machine with HALF of its maximum sensitivity! WOOOW! To reach the Relic Striker top performance you will need to use it in Manual (Balancing) Mode. To set it this way you will just need to put the GB switch in MANUAL position, the other switch in ALL-METAL, turn the threshold knob until you will hear a faint barely audible sound, push the GB knob until a Beep will be played and, “pumping” the coil on the ground, slowly turning the GB knob until the threshold get stabilized. Now, all you just need to do is switch back the unit to DISC position and set the proper amount of sensitivity to have a SUPER DEEP SEEKING MACHINE! In my test bed, using the machine with the above mentioned setting, I was able to easily detect with a very bold and solid sound some 20 Euro Cent coins buried several months (or even years) ago at 5, 15, 20, 25 and 28 cm deep in mineralized (strong hematite concentration), with just half of the sensitivity! Before talking about the Relic Striker discrimination, a quick foreword is needed. Technically speaking, the larger the coil, the more the detector will be able to “lock” targets even outside the coil’s radius. Unfortunately when this event will happen, it could produce a false interpretation of the target signal. In other words, extra-coil iron pieces could be recognized as “good” target or vice versa. This is due to the greater electromagnetic field emitted by very large coil that will exceed its perimeter for several cm, especially when compared with smaller coils. On a practical perspective, it may happen that, when sweeping in a very inaccurate way, you could detect what you think is a “good” target, digging, digging and digging… to find nothing! This is a classic beginner’s mistake! The right and proper strategy and technique, when detecting a “good” target is to change your sweeping angle and also to sweep all around the hypothetical hot-spot. In this way, iron target will be correctly analysed and discriminated while good keepers will be detected in a even stronger and more solid way. Using the Relic Striker in the proper way I had the confirmation of its excellent discrimination capability. 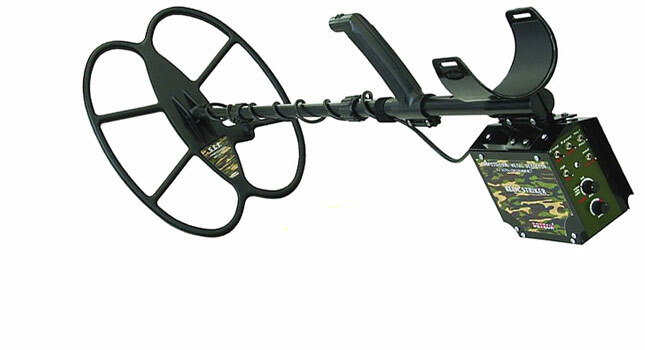 The only iron you will probably dig is the very big one… the one which fools (due to its increased conductivity) every metal detector. Talking about the very small iron bits, well, RS will be very poor sensitive to this kind of tiny bad targets thanks to its coil big size. To explain this issue in simple words, you could compare coils to fishing nets. The larger the coil… the larger the net’s mesh. That’s why big coils are usually less sensitive to very small and tiny targets while small coils are able to detect them. Is there anything I didn’t liked of Relic? 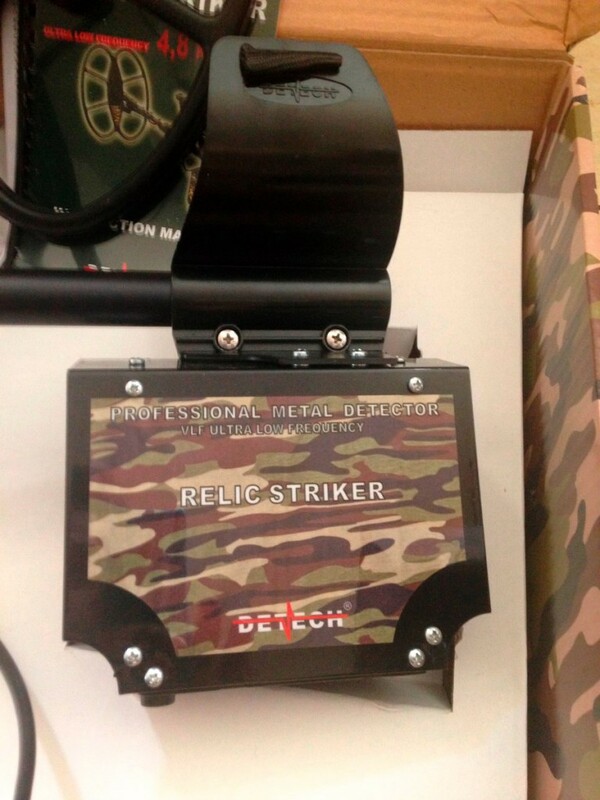 Even though Detech was never famous for its detector aesthetics, the Relic Striker is surely NOT in countertrend. It’s somehow “a little bit ugly” the same way the Gold Catcher is. Setting aside this superficial issues, maybe the only thing I really missed was a true integrated pinpoint audio mode. Even though you could set the machine in ALL METAL mode to improve precision, this mode is a Motion operated so it could not be compared to the amazing VCO pinpointers featured by other detectors. 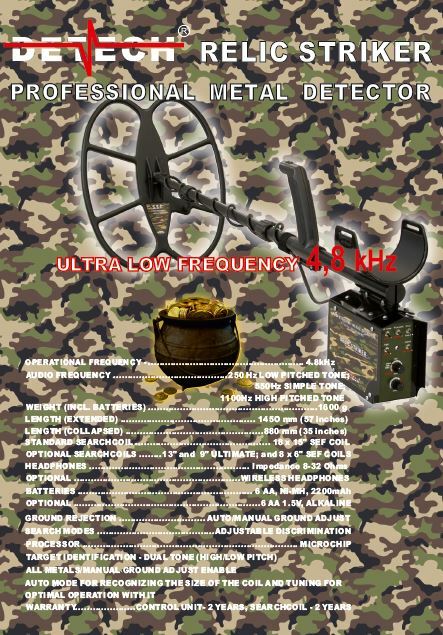 Useless to say is that the single (or even the dual) tone could be too poor for novice hunters but, to be honest, this machine was presented on the market with a neat bias toward experienced detectorists, able to recognize even the faintest sound nuances of the Single Tone. After several hunting sessions and in-depth tests, my opinion on this machine is really excellent. If you add the possibility to mount a smaller Ultimate coil, making it even more agile and lightweight, I really recommend this detector to everyone is looking for an ultra-powerful machine, easy to use, capable of real incredible detection depths and with an excellent economic life. I would like to thank the Detech Ltd Bulgaria and the Detech Romania for sending us the unit and for supporting us with lots of technical infos. We wish you a very happy hunting!